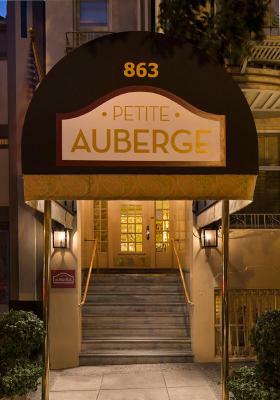 Lock in a great price for Petite Auberge – rated 8.7 by recent guests! 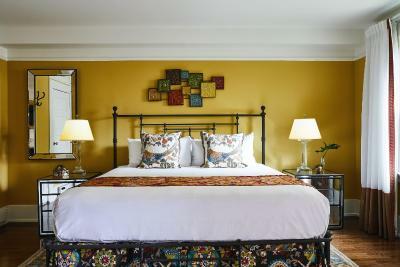 It was a cute property with fairly attentive staff who did seem to be interested in our being satisfied. 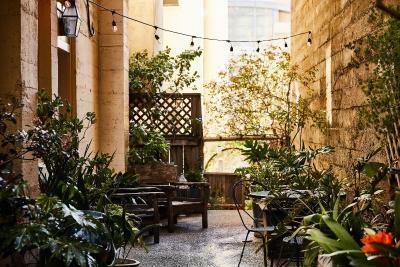 It’s kind of a cute place but it was definitely not worth the $600 price for an overnight stay. The breakfast was very good. The appetizers and wine at 5 was a lovely bonus. 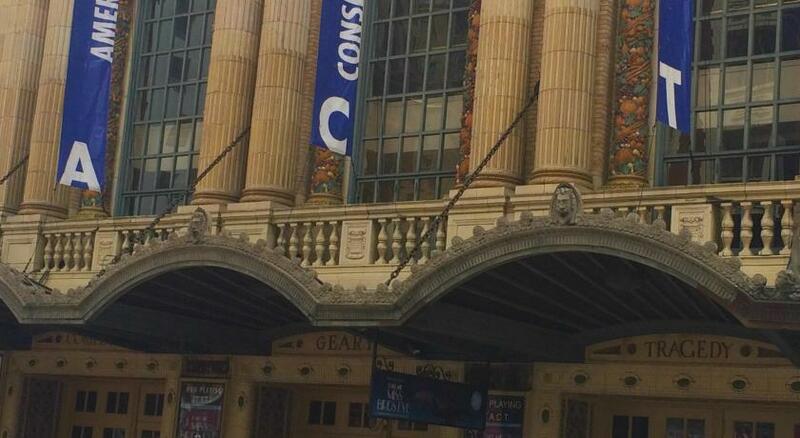 The location was close to restaurants and sightseeing. Good choices. Good coffee. I especially enjoyed the fresh fruit offered. Very cute little hotel in a great location. Nice breakfast (included). Very clean. The location is awesome. 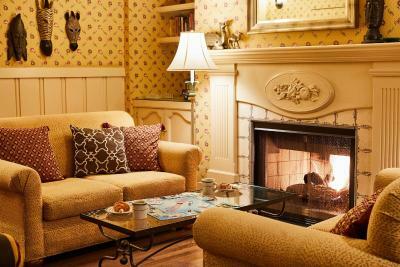 It is cozy and the fireplace is nice. The breakfast was excellent. There was always a good selection of things and they were all delicious. Great start to the day! 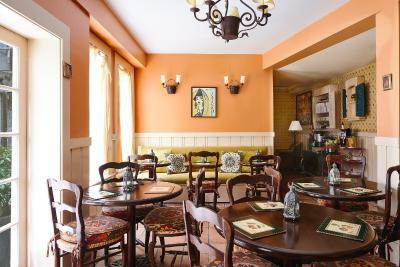 The breakfast room and lounge are warm and welcoming. The staff is very friendly and accommodating. Location was a little hilly for one older person with us; everyone else was fine, good exercise! Chinatown is down the hill and lots of restaurants in the area. It was quaint and quiet. The wine and cheese hour was a nice way to unwind. Everything I. walking distance but not in the hustle and bustle. Cozy breakfast room. Staff member Leon was especially helpful. Overall it was a comfortable stay. Great position, quite close to Market-Powell station (old cab-tram) and dragon gate (ChinaTown). Absolutely amazing the "happy hour" at 6pm, very good wines, food, cheese! Great also the fridge where you can grab cold water, coke, sprite, fanta! Great location, wonderful, friendly and hard working staff. Lovely vintage rooms and setting. Petite Auberge This rating is a reflection of how the property compares to the industry standard when it comes to price, facilities and services available. It's based on a self-evaluation by the property. Use this rating to help choose your stay! 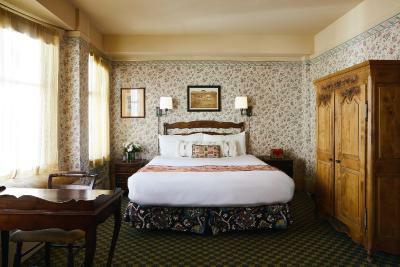 Situated on San Francisco’s Nob Hill, this French-style B&B offers serves a daily free full breakfast buffet. All guest rooms include free WiFi. 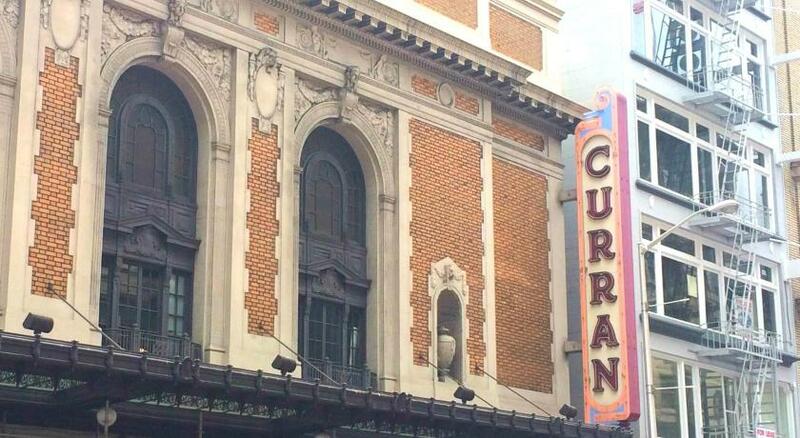 Theatres, shopping and dining in San Francisco’s Union Square are just a 5 minute walk away. 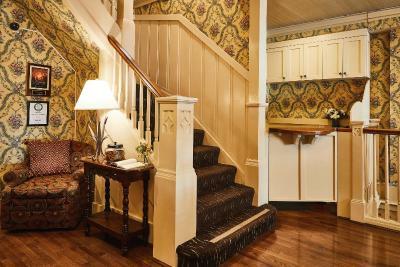 All of the smoke-free rooms at Petite Auberge offer antique décor, a flat-screen TV, an armoire/closet and guest bathrobes. The en suite bathrooms include boutique bath products and a hairdryer. 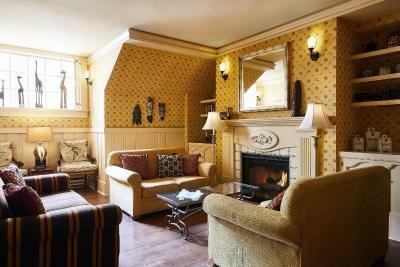 Petite Auberge features a charming lobby fireplace. Guests can also take advantage of a free evening wine and hors d'oeuvres reception. Freshly baked cookies are served each afternoon. 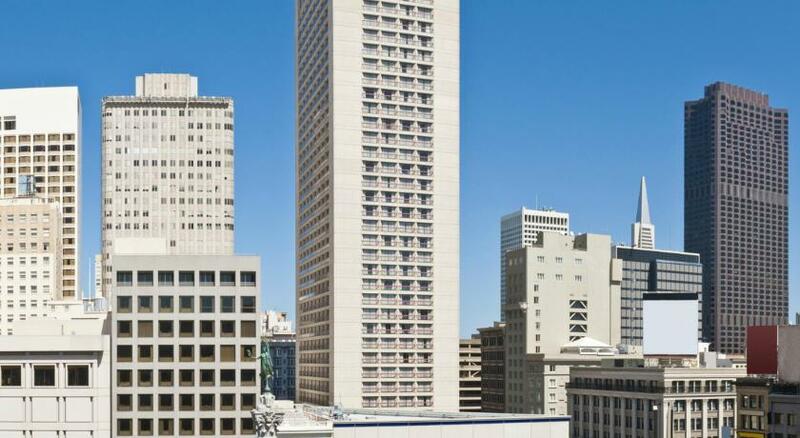 Powell Street Cable Car stop is a 7 minute walk away. The Dragon’s Gate entrance to San Francisco’s Chinatown is an 8 minute walk away. 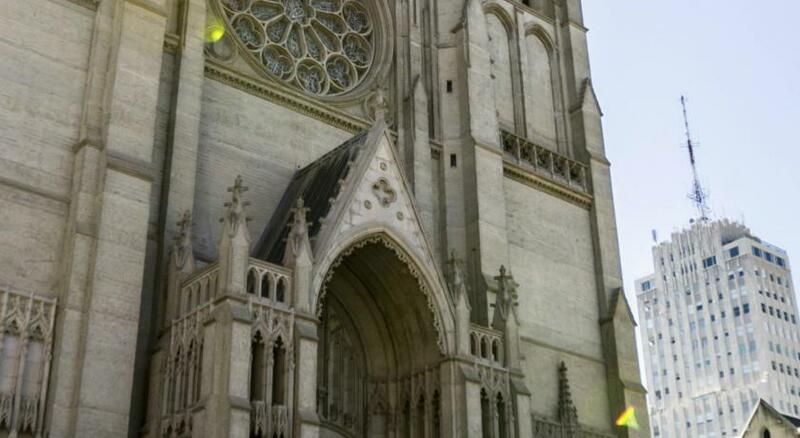 Grace Cathedral is a 5 minute walk from Petite Auberge. 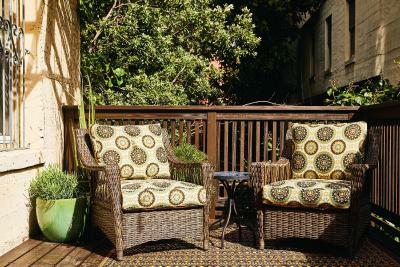 뀐 Located in the real heart of San Francisco, this property has an excellent location score of 9.1! 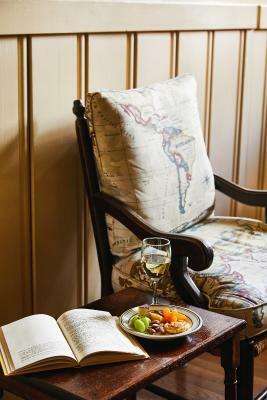 When would you like to stay at Petite Auberge? 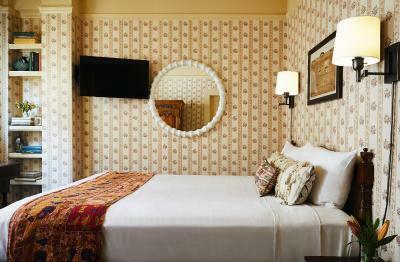 Offering free WiFi, this petite room offers antique furniture and a bathroom with shower. 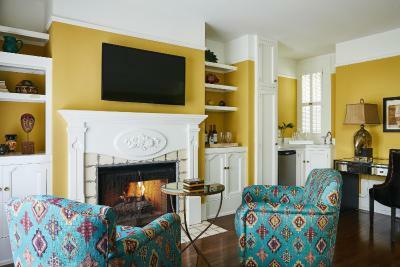 It includes a flat-screen TV and an armoire/closet. 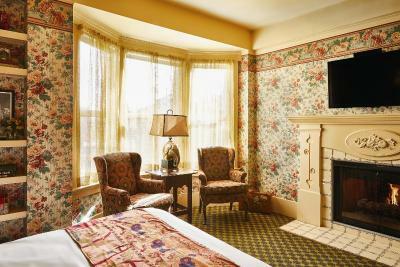 Offering free WiFi and a gas fireplace, this room features a flat-screen TV, a seating area and a writing desk. Offering free WiFi and a gas fireplace, this deluxe room includes plush bathrobes, a flat-screen TV, a writing desk and an private bathroom with boutique toiletries. Offering free WiFi, this room provides plush bathrobes, a flat-screen TV and an private bathroom with boutique bath amenities. 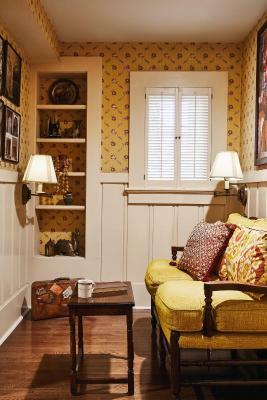 House Rules Petite Auberge takes special requests – add in the next step! Petite Auberge accepts these cards and reserves the right to temporarily hold an amount prior to arrival. Fresher, home made pastries at breakfast. Quaintness of the hotel; excellent location; evening cocktail session. For the $600+ rate, I felt that it was not a good value. The curtains in the room were tattered. The in room furniture was shabby and the windows looked as if they hadn’t had a proper cleaning in quite some time. 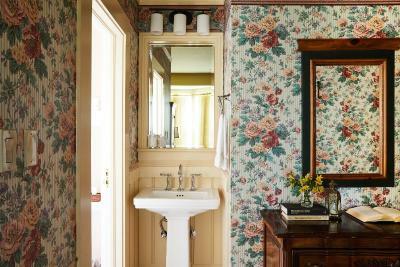 Perhaps I am old fashioned or I fail to recognize the value of “shabby chic” but I must admit that I was underwhelmed. The property is amazing!! Perfect location.. amazing team.. The queen room we had was sooo tiny! I was very sorry I hadn’t paid more to get a larger space. Walls are thin. Could hear my neighbor’s alarm when it went off. The walls are “thin”. I could hear my neighbors easily. I could hear when things were flushed, walking and convos if people were talking long enough. Everything is perfect, a good choice for short time stop. 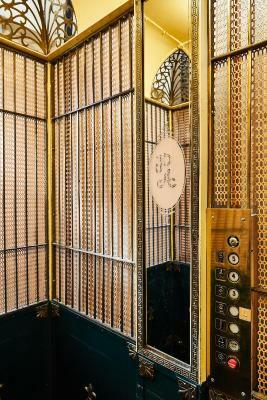 It is an old hotel, and quite creaky in places. So when your neighbour gets up for an early morning flight you can hear them up and about. Ear-plugs are recommended for a good night's sleep. Breakfast was excellent (very good coffee), and the location couldn't be beat. The room was filthy. I asked them to come and do a thorough cleaning and they never did. Last day our keys were not working and there was no-one at the desk to help. Luckily we were leaving in the morning so just took our things to breakfast. I presume we could have gone next door but not a very convenient solution. Luckily I determined they were not working before we both went to breakfast. May have been a rush to find someone to open the door as we were leaving for the airport. Room was supposed to be queen but was double. Room was also small. Bonus wine and cheese in the evening. Nice touch. Friendly staff and very unassuming. I could hear person in room above me walking.